Dr. Matthew Frankel is an internist in Philadelphia, Pennsylvania. He has been in practice for 32 years and employs 5, including his wife Jane who is the office manager. The doctor sees 20 patients per day; 35% of which are Medicare patients. The practice is also a member of an accountable care organization (ACO). In 2012 the practice was making the switch from paper to electronic health records to modernize their system and to meet the requirements of the Centers for Medicare and Medicaid Services (CMS) Electronic Health Record (EHR) Incentive Program. This program encouraged eligible professionals to implement and demonstrate Meaningful Use of certified electronic health record technology (CEHRT). Dr. Frankel values an integrated approach to office technology and wanted to work with a provider that covered as many bases as possible in his practice. Dr. Frankel’s office was already using eLabs from Quest Diagnostics® when they looked at the Quanum™ EHR. The practice adopted this software in 2012. In 2013, the practice added Quanum Revenue Cycle Management (RCM) to improve their billing. The service provides a team of US-based medical billing experts that assist with everything from filing claims to denials management, with a focus on improving collections and revenue. Quanum RCM also includes their comprehensive Practice Management (PM) component along with their award-winning EHR. Recently, the practice also started writing and managing prescriptions using electronic prescribing of controlled substances (EPCS). EPCS is a Drug Enforcement Agency certified process mandated at the state level, and Pennsylvania is one of the growing number of states that have introduced such legislation. The effort is designed to help control the opioid epidemic. Quanum EHR complies with DEA requirements for EPCS, and Dr. Frankel became an approved EPCS prescriber. Since Dr. Frankel’s office was already using Quest eLabs when it adopted the EHR, all patient demographics automatically transferred from the Quest laboratory database to the EHR. The ease with which electronic data is shared has been a positive for the practice. 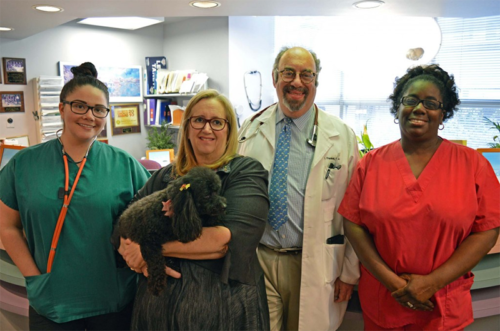 When it comes to the practice management system, Dr. Frankel says it gives the staff an intuitive look each day at the patients that are scheduled. “The staff really likes the dashboard,” he said. Additionally, information flows easily between the EHR and PM, ensuring real-time access to patient information. Before implementing the RCM solution, the staff used to handle complex billing tasks on a daily basis. Now they can allocate that time to other efforts. EPCS ensures prescriptions are securely transmitted from provider to pharmacy and helps to minimize prescription errors. Complying with regulations and attestations are a big part of managing an efficient office for many doctors, and Dr. Frankel is no exception. For years, the EHR helped the practice comply with meaningful use, and it also helped the practice extract the data needed for reporting as part of a Patient-Centered Medical Home (PCMH). Becoming a PCMH meant the practice had to provide additional documentation of their Clinical Quality Measures, just as it does being part of an ACO. When CMS moved from meaningful use to the Quality Payment Program, otherwise known as MACRA (the Medicare Access and Chip Reauthorization Act of 2015), the built-in reporting provided additional assistance. Quanum EHR is fully certified to meet the associated CMS regulatory requirements for MACRA. Additionally, Dr. Frankel’s team signed up for the Quanum EHR’s professional attestation service which helps provide direction in attesting for the Merit-based Incentive Payment System (MIPS). This personalized service includes one-on-one, expert guidance in navigating the confusing landscape of regulations and compliance. Dr. Frankel’s office truly does it all with Quanum Practice Solutions. Virtually every aspect of his successful business is enhanced by its relationship with Quest Diagnostics and their robust suite of technology offerings.